Hotel Deca, located in the heart of the University District, has recently completed a $2 million renovation of its 158 deluxe rooms and suites with contemporary art-deco motifs. There are future plans for another $.5 million in exterior upgrades to complete the transformation. 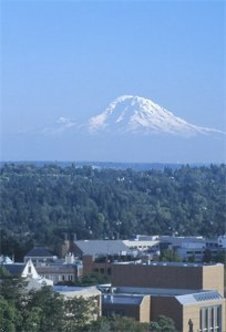 Each room features panoramic views of the University District city base, illuminating downtown Seattle or breathtaking mountains and lakes. Contemporary furnishings and bright colors in the hotels award-winning penthouse suites have been carried through in its public spaces. Hotel guests relax in our inviting living-room style lobby with a crackling fireplace and comfortable seating. This Seattle Hotel is just 4 miles from the Pioneer Square Historical District & Pike's Place Market and only 30 minutes from the Seattle-Tacoma International Airport.